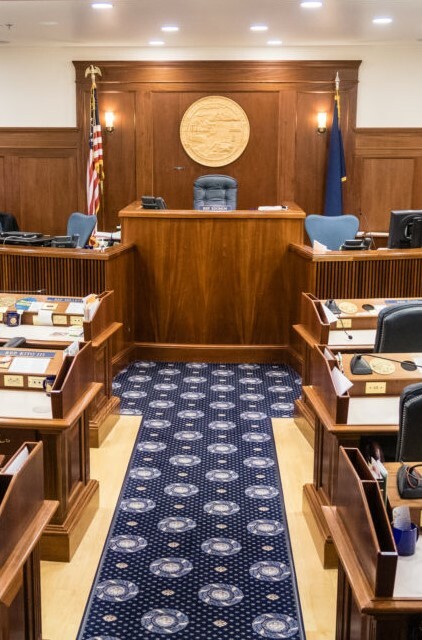 Under What Circumstances Should 17,420 Alaskans be Denied a Voice in the Legislature? 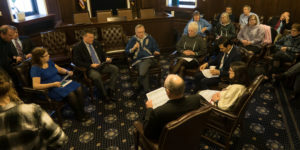 No legislator sits in the Speaker’s Chair today as members of the Alaska House of Representatives prepare for the second day of the 2019 Legislative Session. At 1pm this afternoon, in accordance with state law, Lieutenant Governor Kevin Meyer will return to the House Chambers and make a second attempt to hand over control of the House to a member of the House. If he is unsuccessful, he will return to the House each day until a legislator is chosen to temporarily preside over the House. Lieutenant Governor attempted to swear in all new members of the legislature yesterday, but it didn’t happen. As he began the process to swear in the Republican legislator from Eagle River/Chugiak, the outgoing Democrat Majority Leader blocked her being seated and shows every intention of continuing to block her election until after the house held its election for a temporary Speaker. Of the 40 members of the house, 23 are Republican, 16 are Democrat and 1 is independent. But the good news for Republican voters stops there. 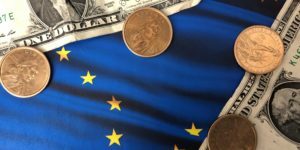 Some Republican legislators prefer Democrat control of the House, and at least 1 other Republican legislator is opposed to giving Republicans control. In the end, 20 Republican legislators desire a Republican House, and 20 other legislators currently stand in opposition. Before a permanent speaker can be elected to lead the House for the next two years, someone must preside over that election. The lieutenant governor’s role is limited to presiding over the election of that person and then return to his duties in the executive branch of government. 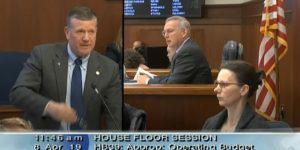 That election was to take place yesterday, however it was blocked when outgoing Democrat Majority Leader, Rep. Chris Tuck (D-Anchorage), refused to allow the Republican Representative from Eagle River/Chugiak to be sworn in by the lieutenant governor. Rep. Sharon Jackson (R-Eagle River) was present at the time all other legislators were sworn in and expected to be sworn in as well. In all truth, she should have been. 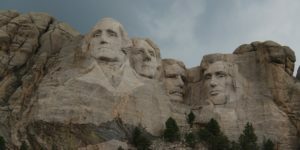 However, she is unable to vote until she has been sworn into office, and Democrat legislators have seized on that fact. We are told that they will support allowing her to be sworn in, but only if the election of the temporary Speaker takes place first, thus denying her (and the 17,420 Alaskans she represents) the ability to participate in that election. The effect of denying her district the right to vote is that the 20-20 split becomes 20-19 in favor of the Democrats, at which point they will win the election of the temporary Speaker. Yes, Rep. Sharon Jackson is a woman. Yes, Rep. Sharon Jackson is black. Yes, Rep. Sharon Jackson is a military veteran. Yes, she represents an awesome district in which my family and I were privileged to live when my wife and I first got married. But all of those things are trumped by one simple thing: Democrats’ pursuit of power. The next time you hear progressives talk about Republicans acting with callous disregard for disenfranchising voters, or for being insensitive to a person’s status as a minority, as a woman, or as a military veteran, just know that they place such a low value on these things, that they are willing to throw them under the bus in exchange for winning an election the function of which is entirely temporary and encompasses nothing more than presiding over a future election. This is our Alaska. Are you as engaged in this process as you could be? As you should be?